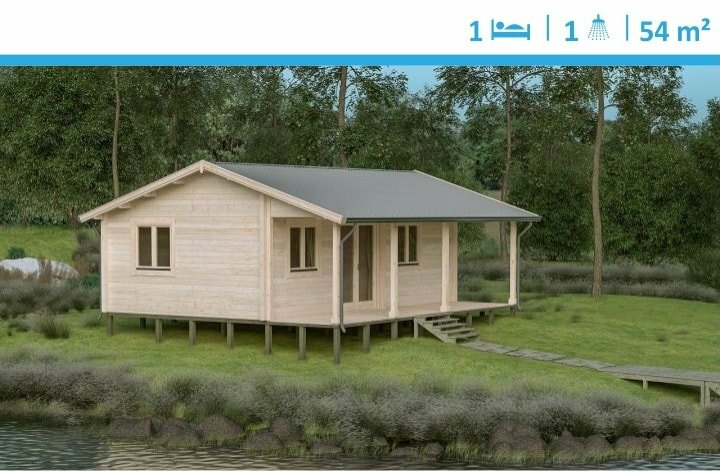 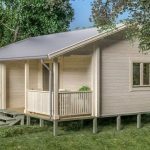 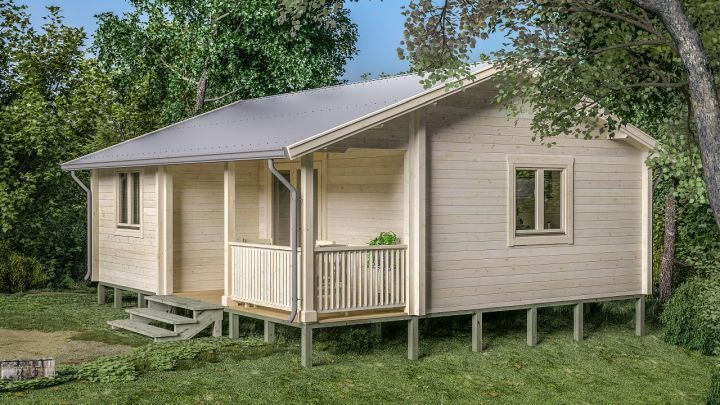 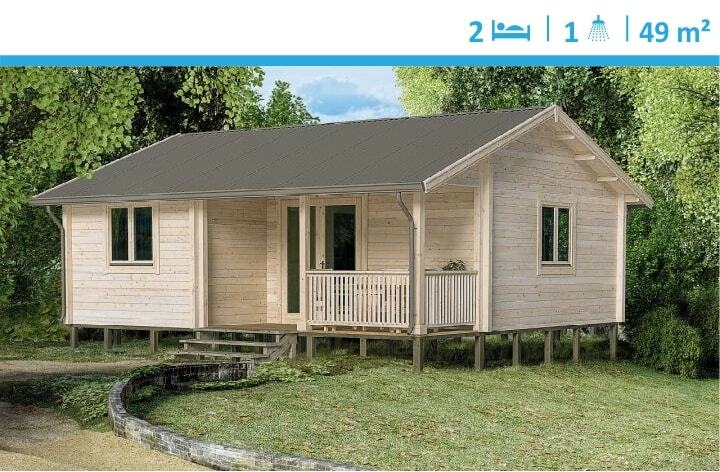 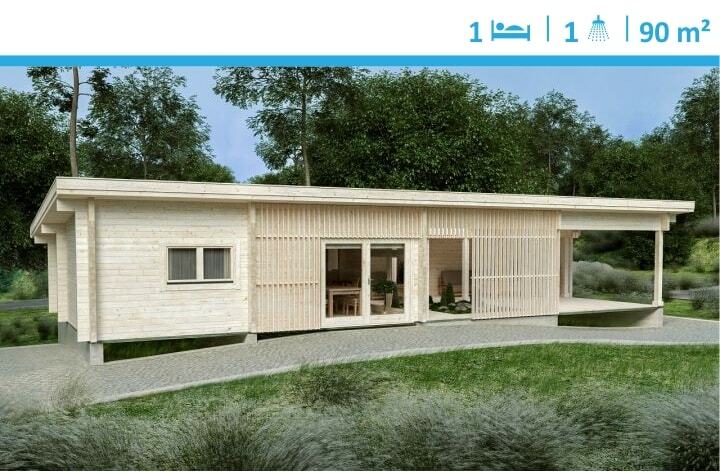 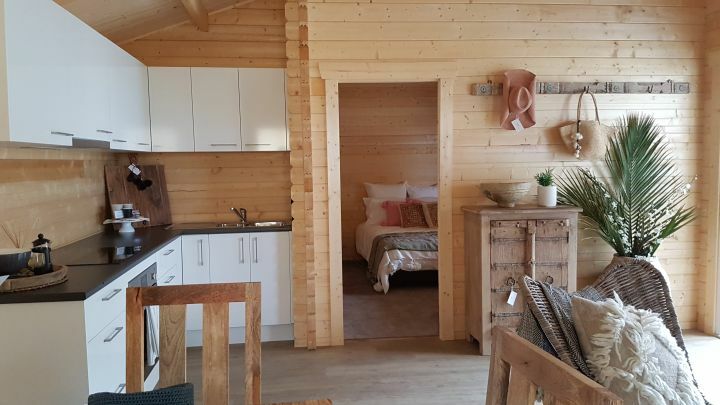 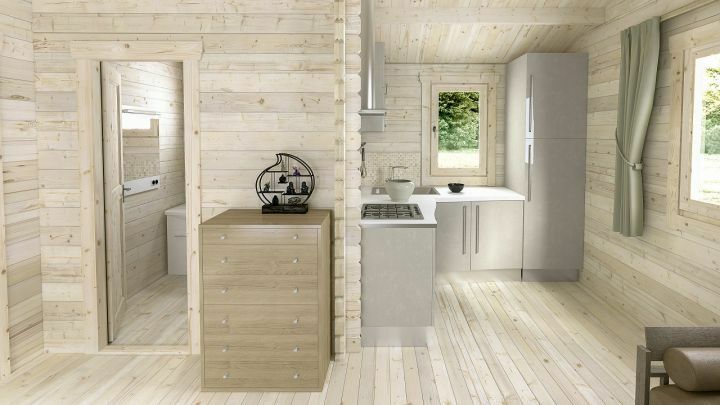 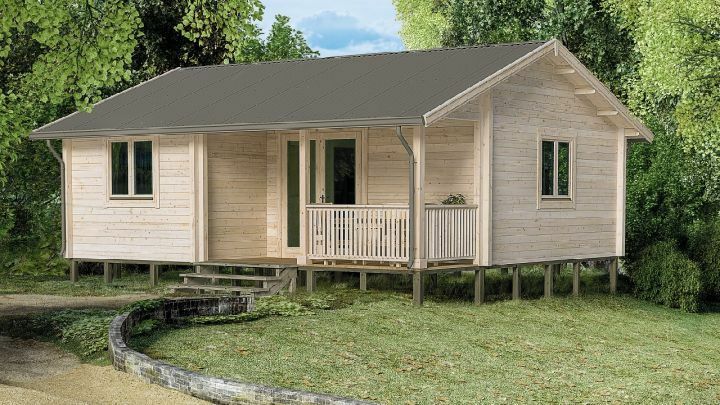 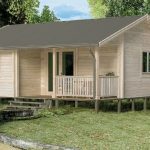 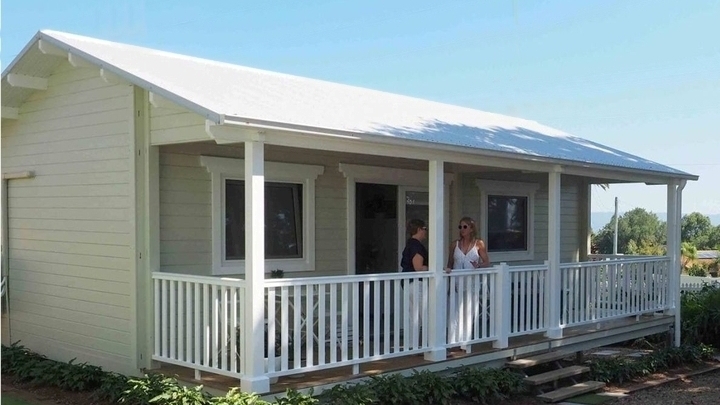 Malta is our 2 bedroom studio designed for people looking for a cabin with an extra room for guests. 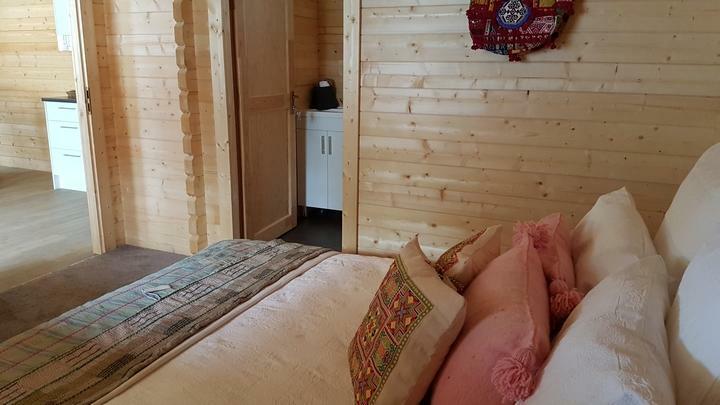 Also, the second bedroom may be used for a hobbies like arts and crafts or an office. 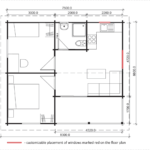 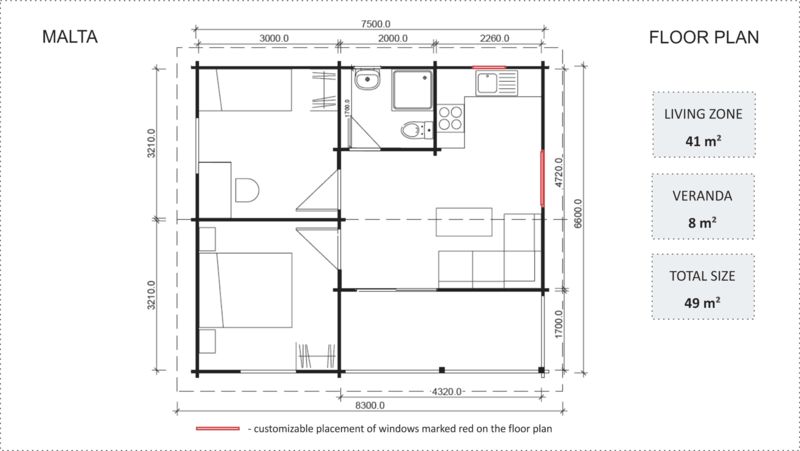 Granny flat Malta is perfect for a holiday property or a rental room. 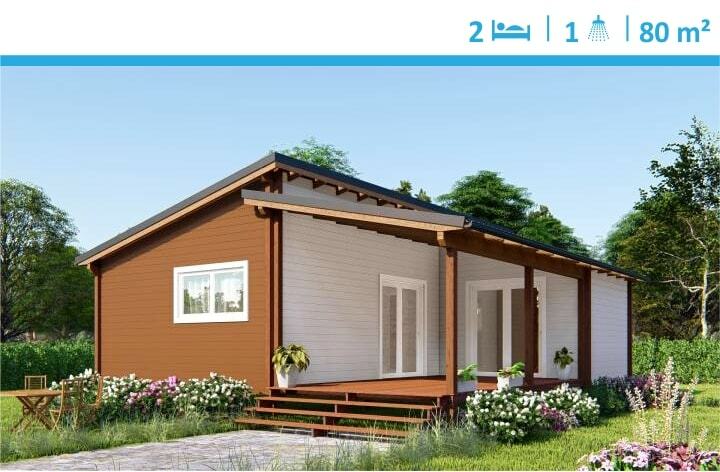 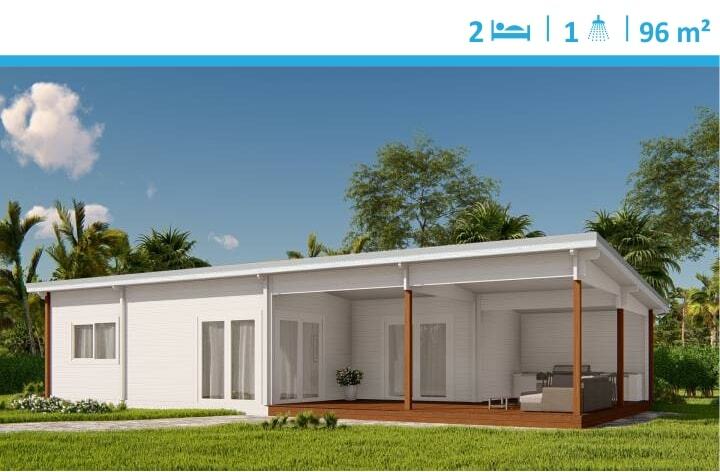 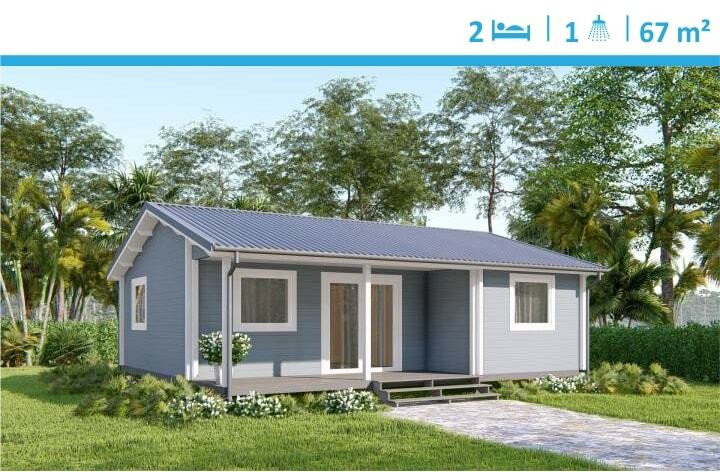 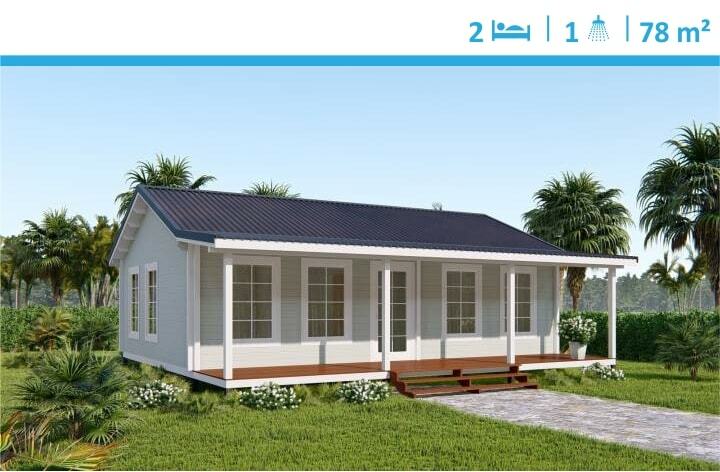 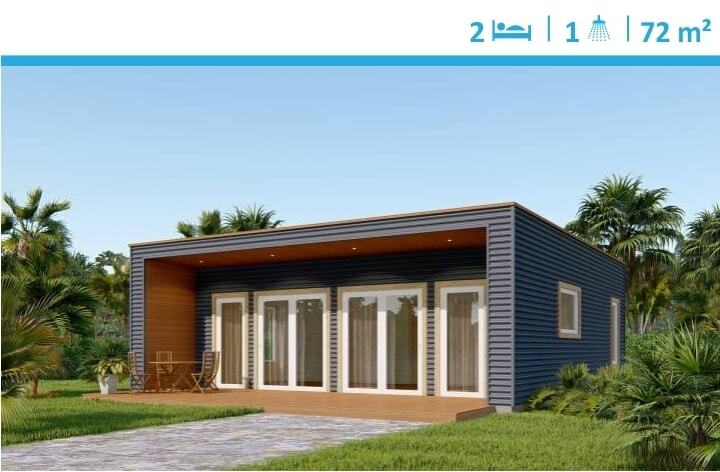 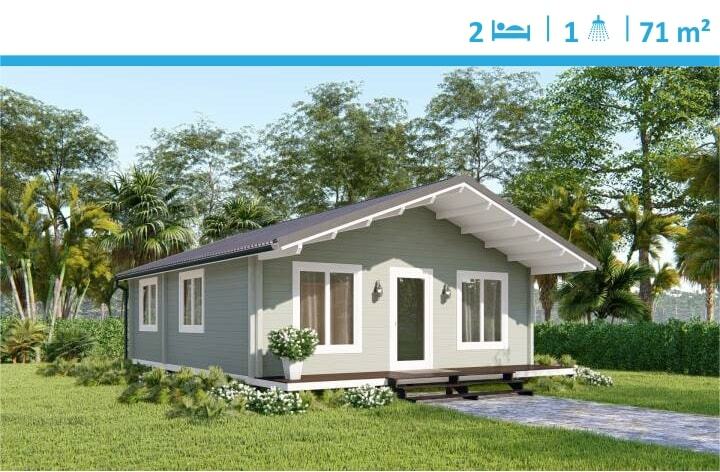 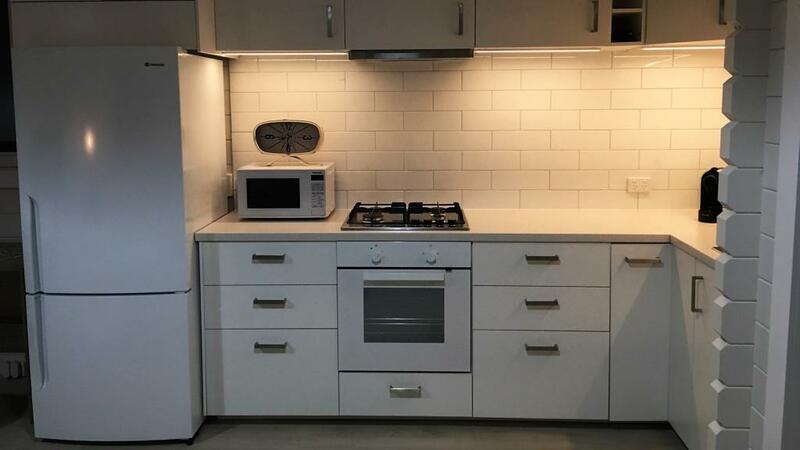 Precut flat packed kits come conveniently on pallets and granny flat can be assembled in 3 days saving your money and time in building process. 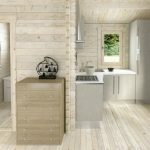 Natural timber and double glazing will provide comfort and a piece of mind for Health and Sustainably-minded people.